Saw this title somewhere out on-line, and thought it could be interesting so picked it up. It’s a dual-memoir from a mother and her transgender son (just as in the title) and this narrative (actually a series of essays) shows how they went through the journey of Donald choosing to be a male when he had been born a female. (When your outside gender doesn’t match the gender you feel is true to yourself, it’s called gender dissonance, I learned.) Anyway, with the Orangutan’s recent announcement about the military not allowing transgender people to serve any more (*smh*), this book seemed to be pretty timely. Donald was born a female, but knew early on in his life that he felt more comfortable and authentic as a male. As he got older, these feelings turned into a serious need, so when he was in high school, he started steps to change into a female. He was honest and open with his mother about this plan, and from Donald’s perspective, he was doing everything he could to keep his mother in the loop. His mother’s perspective, however, was that he was too young to know what he was doing, he might change in the future, and how could he do this to her so she was “losing her daughter”? This memoir is set up as a written dialogue between mother and son, each giving her or his view on how things progressed. The interesting (and rather appalling) detail is that Donald was perfectly fine aligning his outside gender with his inside gender, but his mother comes across as one of the most selfish people on the planet. During this read, I was getting so annoyed with the mother in this autobiographical recounting of events. Donald was well prepared in how he approached his transition, he looped his mum in the plans before, during and after, and yet her entries only recount her “losing a daughter” and not having control over her child any more (if she ever did). She bemoans how there weren’t any support groups for her and other parents who, according to her, are “grieving their lost child”. There was no mention at all of how her child was brave enough to be true to himself at an early age – it was completely her needs that should have been addressed. Sod Donald and his needs, to be frank. If this book is fairly representative of how such transitions occur in lots of other families, it’s pretty distressing as the child is already going through enough, if you ask me. I would hope that, by now, more families are better educated on the issue, and that the child in question can now receive the vital support that they need at this time. On the other hand, the trans son, Donald, handled his transition like an adult and like a champ. Perhaps it’s easier if you’re the one who is going on that journey as you have known your thoughts your whole life and probably have been thinking about this for a while, internally, so it’s not a “sudden” event when it’s announced. This was a provocative read, for the most part, and covered a world with which I was not that familiar. I don’t know anyone close to me who is transgender, but I am certain that if they were, they would have my 100% support in this endeavor. So long as everyone is of age and consenting, then go for it. Perhaps that is the strength of this book: that it shows how one family traveled along that path and comes out in the end. I must admit that the mother must be braver than I to show herself, warts and all, in this light as she shows how she would not back down on her idea of “losing a daughter”. For goodness’ sake, give your child the respect, support, and latitude to be who they are so that they can be happy. It’s not all about you all the time. Kudos to Donald for writing about this experience. Kudos to the mother for being so honest, as well, I suppose, but I’m afraid I’m more in Donald’s corner on this issue. The last title in the trilogy with this great 1960’s book cover. Wow. 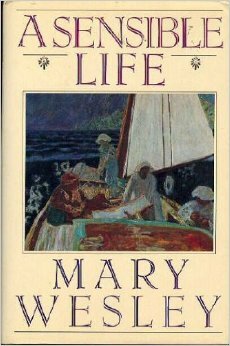 This was quite a reading ride with two Irish young women who travel through life with nary a plan except to marry some handsome bloke and have a few gins along the way. This trilogy, written in the early to mid-1960’s, is a wonderful and very gritty look back at Baba and Caithlynn as they manage to leave their small worlds in rural Ireland chasing their own dreams for their lives. It’s very kitchen-sink drama, and there were times when I wanted to just sit them down and have a few choice words with them, but I really did enjoy this read. Stuck with each other due to their small village and school, their friendship changes from day to day (depending on how mean Baba is to Caithlynn) and I found this part of the trilogy very hard to read about. I can’t stand it when someone bullies someone else, and I just wanted to step into the novel and help poor Cat, but I couldn’t. Baba and Cat are both good young Catholic girls (with everything that went along with that in the 1960’s) and they both knew what happened to girls who weren’t good: hellfire, family exile, on the streets… The pair are sent to middle school at a convent a few miles away from home, but having no transportation options that were affordable, they were boarders. Cat had been offered a scholarship (thankfully as there is no way that her family could have afforded it otherwise) and had been relieved at such a good escape from mean Baba, but then Baba decides to apply as well and her family can afford even if there is no scholarship for her. And this seems to be how it was throughout the whole trilogy: Cat struggling to escape home life and Baba; Baba always somehow beating Cat to the punch whether it’s getting a bicycle or a bedsit. It was really annoying for me to suffer through this, as I can so relate to how mean children and teens can be. This was tortuous. So why did Baba stick so tenaciously with Cat? Baba needed her to bully and to feel powerful? Cat needed Baba as she had no other friends? They both needed each other as they navigated the rocky shores of adolescence? This sounds a dreadfully depressing and grey book, and it’s certainly not rainbows and unicorns, but if you like reading kitchen-sink dramas (which I was in the mood for), this is a great read. Not always the easiest titles to get hold of, but worth the trial. I’m glad I met Cat – perhaps not so much about meeting the other one! Oooh la la. You can just imagine women reading this under cover. Shocking stuff! I live in Texas which has a strong Hispanic Latino/a flavor to the culture for the most part, and I have driven past shops that sell Quinceañera clothing and all the accessories that tend to go along with it, so when I came across this title, I picked it up immediately. 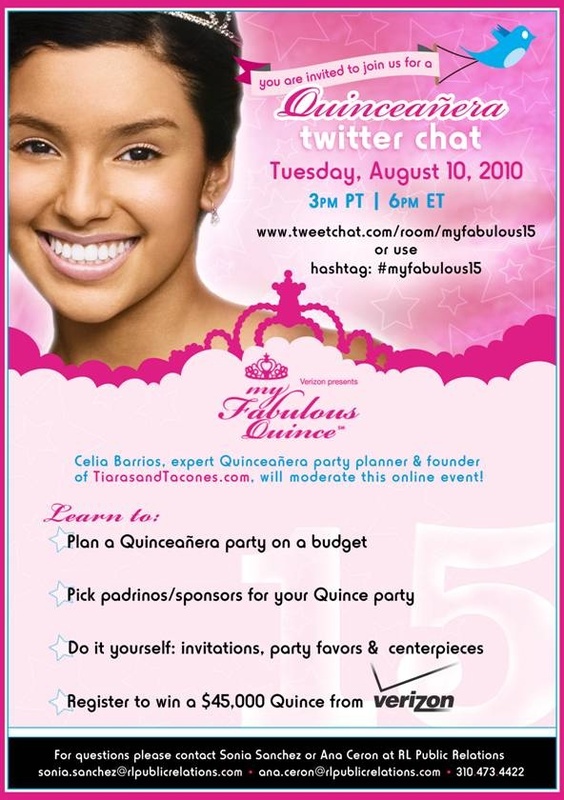 In case you’re not sure what a Quinceañera is, it’s a Latino/a celebration of a young girl’s 15th birthday with a similar goal of perhaps a deb at her first ball, you could say. Along with the varied history of Quinces, Alvarez also delves into the strong gender roles inherent in many Latino/a families, that of machismo (which most people have heard of) and of Marianismo (a new one for me). Machismo is when a culture supports (and defines) men as being the sole leaders of a family or unit, of being extra-manly, of being responsible for the safety and reputation of the family and being in charge. Marianismo, on the other hand, is the idea that the women in a machismo culture should act along the lines of the Virgin Mary (along Catholic ideals): being pure, virginal, submissive, family first etc. I see machismo all the time, but hadn’t realized that there was actually a name for the female role (for those who buy into it) which was fascinating. And it’s this Marianismo (according to Alvarez) which is behind the idea of the Quinceañera, that the girl whose birthday is being celebrated is recognized as changing from a girl to a woman, from being a protected child to being open to dating (and ultimately marriage). There is a religious element to this, but generally speaking, the main emphasis is on the party-side of things. This symbolic step into adulthood is represented by several things: the girl changes from flat-soled shoes to shoes with a high heel (that the father puts on her feet); she has a “court” of 14 of her friends (paired into couples for a total of 28 people) who learn and execute formalized dances on the night, and the lighting (and extinguishing) of 15 candles, each flame representing an important woman in her life who has helped her get to where she is now. So – it’s a ritualized ceremony with meaning for a lot of people. Along with that, there is also discussion on how much should the family spend on this one event in their daughter’s life. 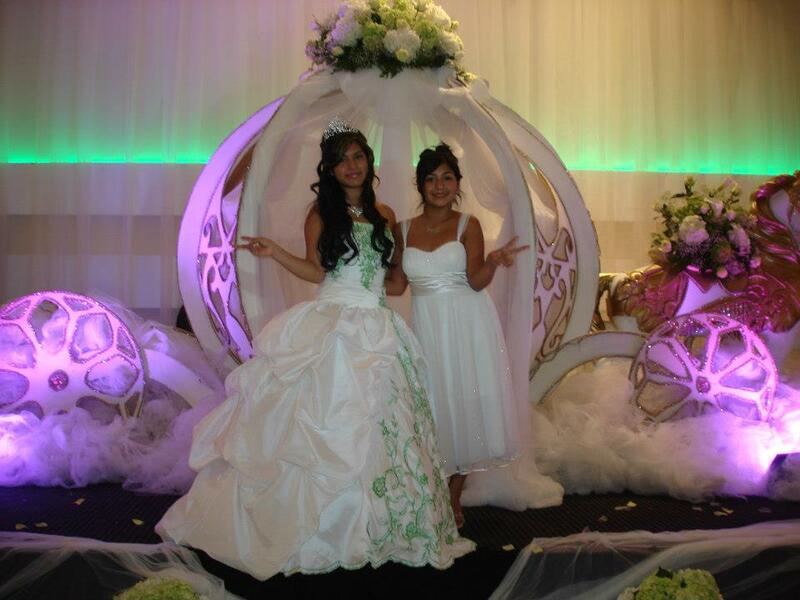 There is an industry built up around Quinces (not surprisingly), so they can become as expensive and spectacular as a wedding can be, and for many families, this can be a huge financial burden. (Thus the saying “Don’t throw the house out of the window”…) Should the financial outlay for the Quince be saved and used instead for the adult wedding (should it come in a few years’ time)? Should it be set aside for the girl’s college education? Or perhaps a house payment? 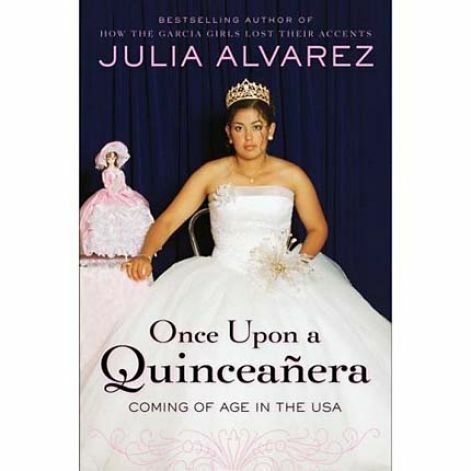 The actual history of Quinces is rather fuzzy, according to Alvarez, although many claim that they have their Quinces (or should have Quinces) to respect the traditions of the Old Country – and yet a lot of Latin America don’t actually have anything similar or on that same level for their teens. So there’s a lot of vagueness about this ceremony’s history combined with industry consumer pressure (“We have to have EVERYTHING!”) and then combined with expectations from the young women who are having that 15th birthday, that I can only imagine the pressure for many families in this situation nowadays. So, this was one of the most fascinating reads I’ve experienced this year and now I’m planning to stop by one of the Quince shops and see for myself what they sell. I’ll let you know. I loved this read. (I could really have done without Alvarez’ own autobiography pieces in this and would have preferred 100% Quince-related material – there was a tenuous link between the two at times.) But if you’re curious about the world in which you live, this is a good introduction to an intriguing ceremony happening around a lot of us. Since I’ve been digging more deeply into authors (and characters) of color, Jamaica Kincaid’s name has kept cropping up and so when I saw this title in a thrift shop the other day, I picked it up with interest. After struggling mightily with another book and finally admitting defeat, it was with somewhat relief that I picked this one up and found it to be a joy to read. I loved it and will definitely be picking up more of Kincaid in the future. So – this was a fiction read, a bildungsroman (posh way of saying “coming of age”) that follows a young girl growing up on the Caribbean island of Antigua. It starts in the middle of her childhood and follows to her teens when there is a sudden change that happens to her that affects all her relationships, particularly that between herself and her mother. Previously adored, the teen protagonist now faces her mother with unexplainable rage and resentment, and the reader watches how this enigmatic development affects her life as she grows and changes. It’s pretty hard to watch but understandable for the most part as who, at some point during their teen years, wasn’t sorely embarrassed by one’s parents at one time or another for no particularly compelling reason? So, as mentioned, protagonist Annie knows that this is how she feels, but doesn’t really understand why; with nothing to put her finger on, the closest that she is able to come to is describing it as “carrying the thimble that weighed worlds” deep down inside her. Who would understand that, she thinks sadly? No one, and her days go by with her repelling all that seemed perfectly fine until a few months ago with the arrival of that internal thimble. The narrative is structured as a series of eight chapters, each one describing a particular episode in Annie’s life (big and small) and spotlights the ebb and flow of school friends, confusion about this sudden dissatisfaction of almost everything in life, and no tools to impact it either way. I would think that anyone who was a teenager (or who knows a teenager) would be able to relate on some level, really. 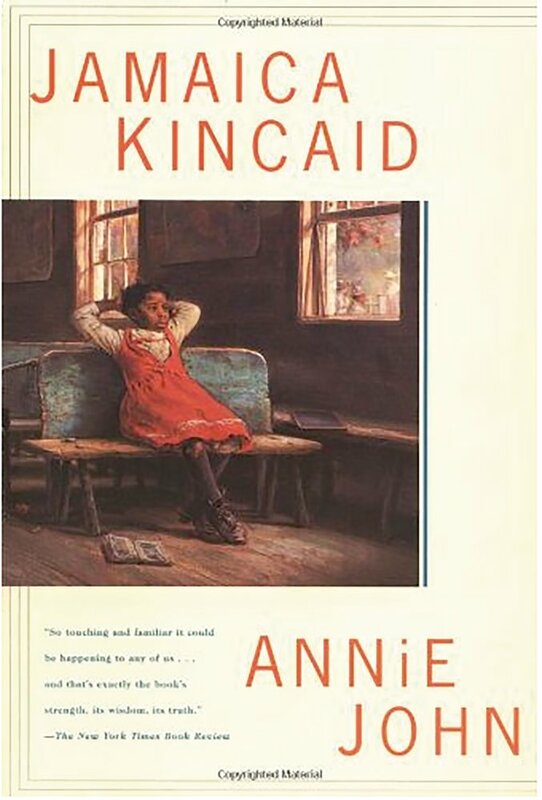 The depths of the descriptions of the lushness of Annie’s life on Antigua reflect the depth of the introspection that is seen through the PoV of Annie. She is a ferocious and witty character with a fearless attitude to life. It’s equally frustrating and admirable at the same time, really. This was a fabulous read on a rather endless plane journey, but the time passed really quickly (which underscores how good the read was). I loved loved loved this book. It was a good read, except that it was one of those reads where there’s not a lot to say afterwards. I quite like Wesley’s books in general and this was on the TBR pile. It’s not a keeper. This was a graphic novel read and a title that I had picked up somewhere when I was cruising the interwebs the other day. I haven’t read a graphic novel for a while, and this looked to be a more cheerful title than most. The plot focuses on two young girls, pre-teen/early teen age and one older than the other by a few years. They have spent several summers hanging out where their families both have houses by the lake, and so they have become close for the time when they’re together. Now one of them is getting older, the difference in ages has become more of a challenge as they’re at different points developmentally speaking. Both of the girls are also pretty different in their characters as well, so this was also a coming-of-age narrative (more so one than the other). Previous years have seen the two girls hanging out at the lake doing lake-ish things like throwing rocks in to the water, digging in the sand, and playing games. But, in this particular summer, the older one is more interested in boys and all the teenage drama associated with them and so as the PoV is from the older girl, we see the differences highlighted between the two friends. As the summer weeks progress, we see the older girl’s perspective on fairly normal events that happen. The annual trip to the historical reconstruction event put on by locals is now a bit lame and boring, her parents are fighting a lot, and she is at the age where she is embarrassed by having to hang with them a lot and lonely – the typical teenaged angst. What I enjoyed about this tale, angst-y though it sounds, was that it just followed the few weeks of this family vacation in close detail. You could see how torn she was between wanting to keep the old memories going and wanting to be more grown up (like hang out with boys, the awkwardness of making new friends and being mortified/maintaining the friendship of her suddenly much more immature friend). The two authors have described those feelings perfectly through the words and pictures of this story. The plot also was much deeper than I had expected. The two girls do the typical happy-go-lucky summer activities, but there is also a deeper and more serious plot line running in parallel. The local older teenagers are hanging out at the local convenience shop, and the girls long to join in with them except the older teens reject them for the most part. Trouble happens within the teen group and the two girls try to work out what’s happening around them, but the two worlds are not connected until closer to the end when a dramatic event occurs which grounds the girls in reality more than they had been, showing them that getting older is a bit more complicated than they had realized. The pics were well done – lots of blue color (since it revolves around a lake with lots of swimming and other water activities) and a floating ethereal feeling of how fleeting summer months can be for you at that age. The one thing that tripped me up, picture-wise, was that the pics were not always tracking with the story line, and it was tough to link a few of the wordless images with the plot. 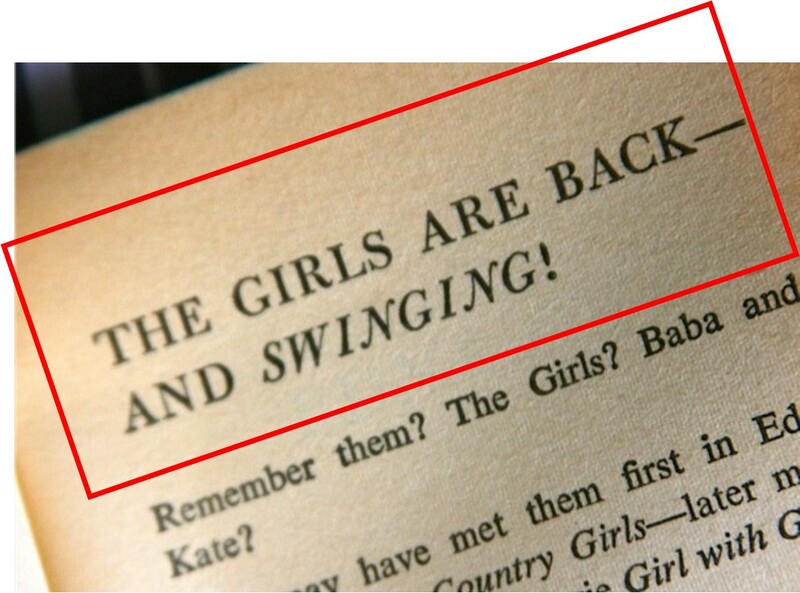 There were times when it wasn’t clear to me, as a reader, whether the girls were dreaming at the same time or whether this was more of a representation of their scattered thoughts at that moment. It wasn’t all the time and it wasn’t frequent, but it was slightly confusing when it happened. 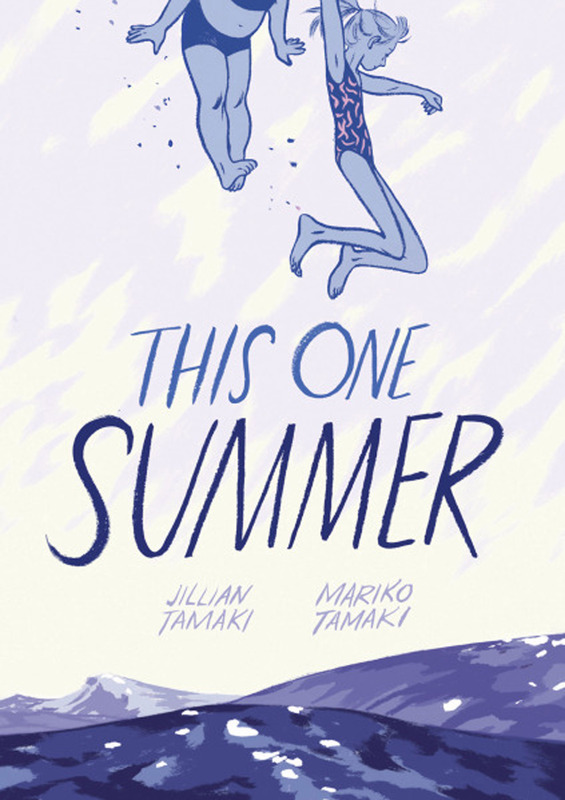 But overall, this was an interesting graphic novel that explores an endless summer at the lake when you’re right at the cusp of leaving childhood and becoming more adult. I enjoyed it. 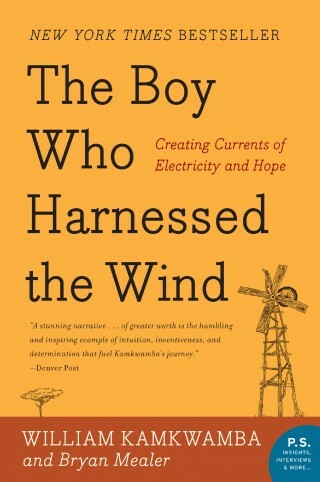 The Boy Who Harnessed the Wind was honestly one of the more inspirational stories I’ve come across this year in my reading journey. 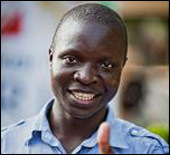 Kamkwamba has a great story to tell via a sly sense of humor about the world into which he was born in Malawi, and this was a super story to read. William (as the author is named) grows up in a rural village in Malawi, a place that is small enough that there is no reliable electricity (should you be able to afford it), no efficient lighting, hard to access water, and little schooling. There is a small village center where bartering can take place, but apart from that, there is little for an ambitious and smart young man to do. Apart from these challenges, the area where he grows up is faced with ongoing famine (due to poor rain and non-sustainable agricultural practices), corrupt government officials, little public health and little access to ongoing education. Infant mortality is high, and babies are named by their families to reflect the parents’ fears: “Simkhalitsa (“I’m dying away”), Malazani (“Finish me off”) or perhaps Phelanuni (“Kill me quick”). All this combined with a widely held belief in spirits, spells and witchdoctors made it a challenging environment to learn new and different things. What’s a teenager to do? William does go to school regularly, but when the drought and the famine arrive, his family’s crops fail and their income goes down enough to pull him out of school for long periods of time. Severe famine goes on with fatal results throughout the region, and there seems to be nothing they can do but wait for rain. The government at that time refuse to acknowledge the hunger plight, so there is little outside help – any outside agencies who try to help find their resources snatched by corrupt officials up and down the chain. With no school, he (and a couple of friends) start fiddling around with radios, an important source of information for the villagers, and with no electricity, radios became vital to hear updated weather reports and other info. Most of the electronics in the village are old and starting to fail, so William and his cohort start taking radios apart and then putting them back together in working order. Business grows and soon they are the village radio menders. At the same time, William has some spare time when he is not working in the field, and wanting to learn more about electronics, he visits his village’s three-shelf library and reads what’s there. He can only read during the day though as electricity is sporadic at best (and so no lights at night), but what he learns opens the door for his creativity. What if he could build something that would give his family and the village regular electricity? What about getting regular access to water to save the village women having to trek two hours each way and carrying heavy buckets back to their homes? Over time, William realizes that the answer is to build a small wind turbine. But how? He has no tools, no money, and no ready-made parts. People prefer to believe in spirits and witchcraft more than science, and there’s not even a word for wind turbine in the Malawian dialect he speaks, so he calls it “magesti a mphego” (electric wind). However, he does have access to a scrapyard, and as he learns more and more about physics and how energy could be manufactured, William explores the discarded scrap for pieces that could be useful: a broken shock absorber, an old tractor fan, a spinning bicycle wheel and its frame… As for tools, he has to create those himself as well: he melts an old bicycle spoke over flames to hammer it into a screwdriver. It was incredible to me that in the midst of this environment, he had the ingenuity, the will and the rudimentary knowledge to follow this path. An amazing and inspirational read. If you’re struggling with a problem, perhaps you could read this and get a whole new perspective on your situation. 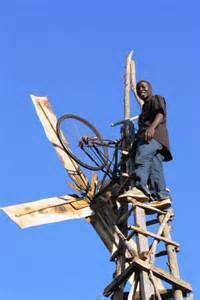 If William achieved this in a small rural village in Malawi, what could you do with what you have where you are? 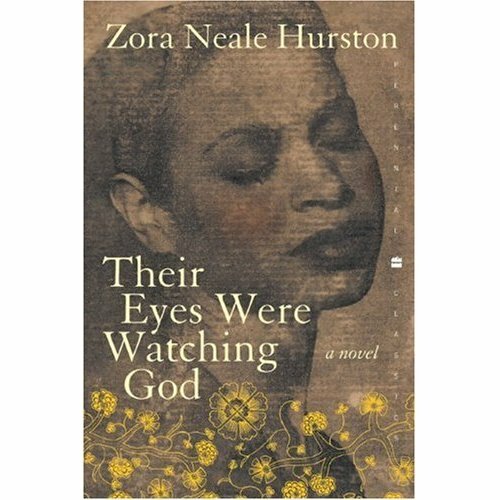 Written in 1937, Their Eyes were Watching God was one of the first African-American feminist novels to achieve widespread prominence in the U.S. Obviously, African-American novels had been written by women before this, but not widely published and, in fact, this one was written 13 years after she had published her first short story (although this was only her second novel). This is a good read. It’s a bit of a challenge at first as it’s mostly written in a strong dialect from the South, but when you get used to this (and it doesn’t take long), this is a great read. The novel’s protagonist, Janie Crawford, is a young African-American woman who struggles to find her place in a pretty unfriendly world with regard to her ethnicity and gender. However, as the story progresses, Janie grows and learns and this ends up being a bildungsroman by the end. Janie is a strong character who leaves her strict grandmother’s shack to start a not-very-enthusiastic marriage with a much older man who her grandmother wanted her to wed. Janie is struck with the notion of love being a very natural and romantic thing, of blossoms and beautiful moments, so when the marriage is not like that dream after a while, it’s a shock. She ends up running away with a very ambitious traveling salesman and then when that hits the skids, she elopes with a happy-go-lose guy. As her heart wanders, so does Janie with her husbands and this ends up a powerful story of growth written at a time when society did not support it (and in fact worked against it) for many people. Not only is this a good story, but it’s brilliantly written and unlike my rather staid diet of mid-century British novels and Victorian old guys. 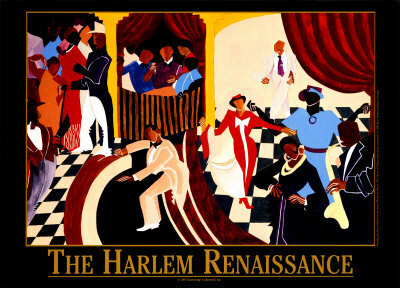 This is lyrical and was very influenced by the African-American and Southern folklore that Neale Hurston has studied during her academic years. She was very familiar with the stories and songs and such lore is a frequent reference throughout the novel. The hurricane description is really one of the best parts for me – Neale Hurston nails the descriptions and the feeling of powerlessness for people impacted by severe weather events – Janie’s community is small and somewhat temporary; its population consists of mostly transient field workers and it’s quite a close community for the short time that they are all together. 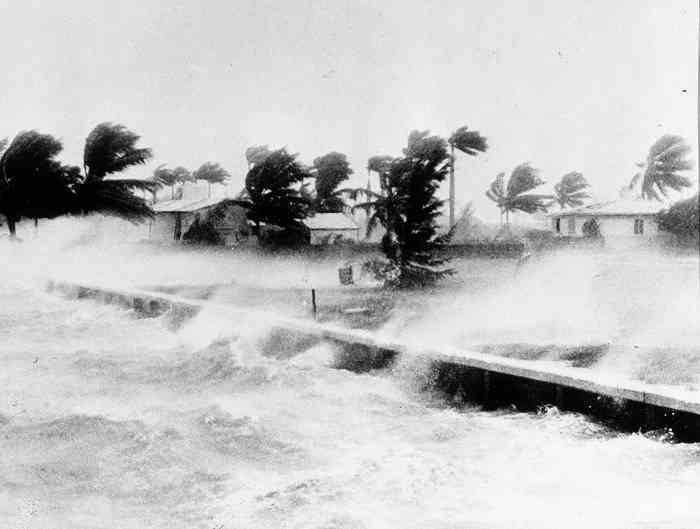 Neal Hurston describes the hurricane as an all-powerful being in many ways – of an omnipotent god who takes no mercy and shows no fear. In a way, it may represent the feeling of impotence that African-American people may have felt living their lives in the US at that time – no vote, no representation, little self-determination power etc… However you interpret it, it’s a powerful description and metaphor of a catastrophic storm. Horizons play an important and ongoing role throughout this narrative . For Janie, the horizon seems to be a far-off unreachable place until she meets Tea Cake. Her first marriage did not work out; her second marriage to the traveling salesman meant that they both ran off to meet their own new horizon, and the third (with Tea Cake) was described as them reaching their horizon. 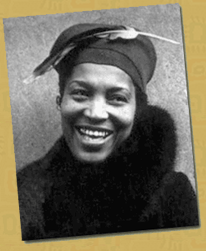 Zora Neale Hurston had an interesting life as well, and it’s clear that some of this story’s plot is autobiographical at points. She attended Howard University for a few years around 1917 or so and gets an Associate’s degree – this at a time when very few women were even allowed in higher ed., and even fewer African-American women. She graduated in the end from Barnard (where she had been the sole black student and one of the oldest ones at the same time) and published fiction pretty widely as part of the Harlem Renaissance group. She led a life of academic research and fiction-writing, going through several marriages, and then ends up working as a maid in Florida, having a stroke and getting care at an indigent hospital and then being buried in an unmarked grave. She was a forgotten author until the 1970’s when Alice Walker and others brought her writing to the fore. It’s quite a fascinating story in and of itself. So – good read. Not the easiest read in the world, but good all the same and thoroughly worth the effort. For more reading by Zora Neale Hurston, try Barracoon: The Story of the Last “Black Cargo” (written in 1931, but published only recently). Fascinating.